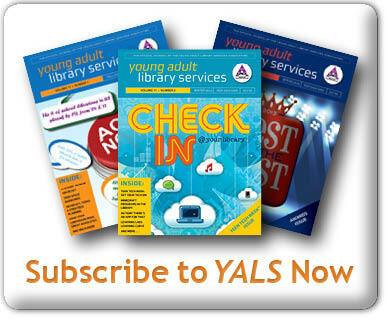 YALSA Teen Services Competencies for Library Staff: It’s Not a Competition! Do you ever say to yourself or others, “We are in competition with <insert name of an out of school time or school-based program>?” If you do, it’s time to stop. 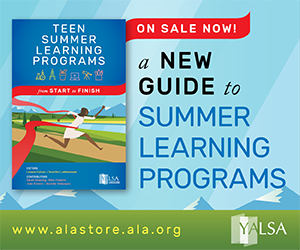 To serve teens successfully we have to stop thinking we are in competition with others and instead focus on what others are already providing, where there are gaps in what’s available, and what libraries can do with others in the community to fill those gaps. First the program may very well not be needed if someone else is already doing it. 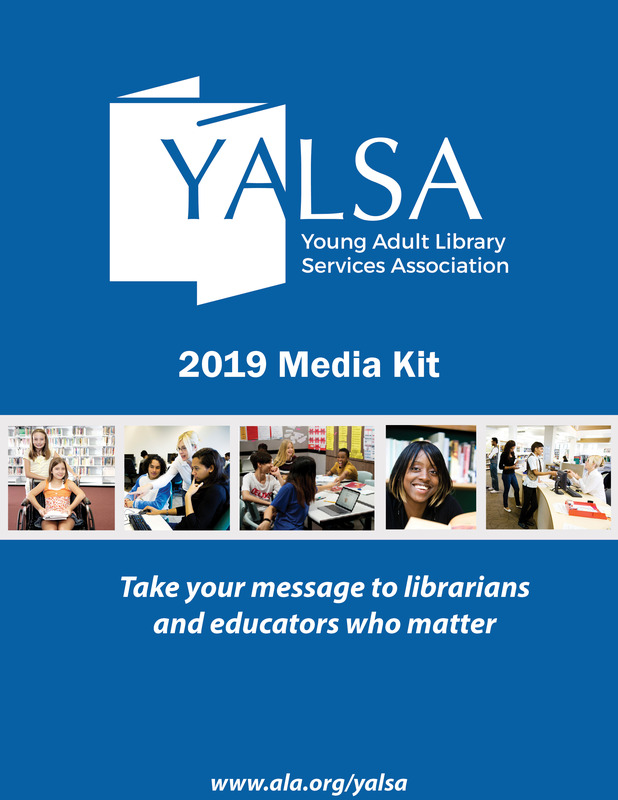 Second, it could be really useful to meet with those that are already providing that program or service and find out what they would like to be able to do but can’t, and/or how the library can provide support for that program or service. Third, it’s time to look at where the gaps are in serving teens in the community and focus on working with community to fill in those gaps instead of doing something someone else is already doing, simply because it seems like a topic or activity the library should be focused on..
One of the dispositions listed in the YALSA Teen Services Competencies for Library Staff states, “Values the importance of collaboration and engagement with youth development stakeholders, community members and organizations, and local decision makers.” If those working with and for teens see their work in competition with those listed in that disposition, then it’s pretty difficult to collaborate. 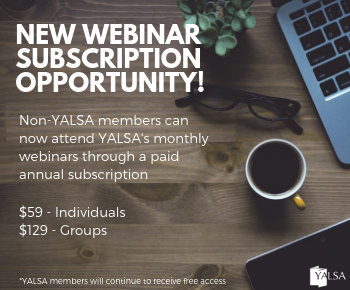 Talk with community members, organizations, stakeholders, and decision makers about what others in the community see as already being provided to teens in the community and where there are gaps in teen activities and services. These conversations aren’t about what the library does or can provide to teens but truly focused on what people in the community see as happening and not happening for the age group. Converse with others about how to fill in the gaps that they see. What can one or more of the people involved in these conversations provide/do in order to move forward? Plan activities and services with others that are a part of the conversation instead of on one’s own. 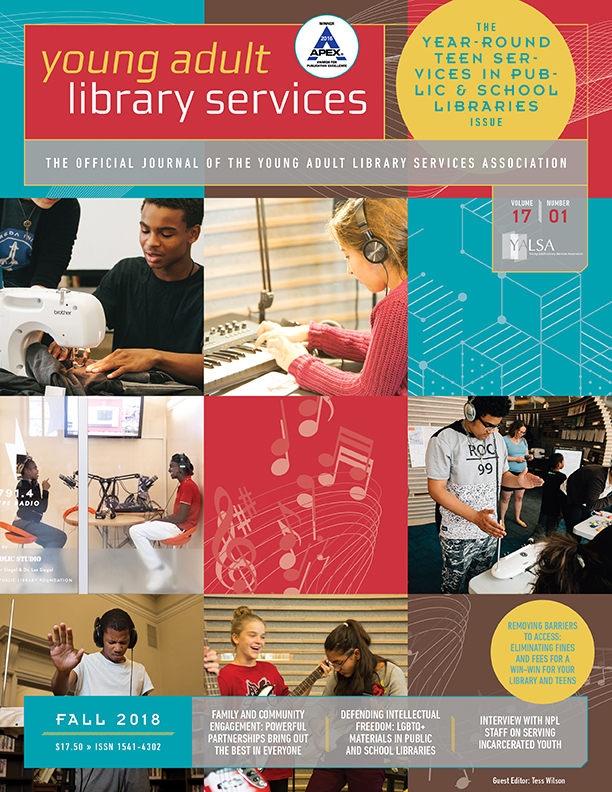 For example, if library staff discover that the community is lacking opportunities for teens in underrepresented groups to access tech-based tools and resources, instead of developing a library-centered program work with other afterschool programs who might see the same need and could be a part of the solution. Even if each offers a separate program or activity or service if those are developed in concert it is less likely there will be overlaps, and more likely that a diverse set of teens will be served. Next time you hear yourself thinking or saying that teens aren’t participating in library services or activities because of other community services, stop, and say to yourself something like, “Well, maybe what the library is providing is a service that teens don’t need at this time or in this way, how can I find out if that’s true, and how can I work with others to provide services that will fill in teen services gaps?” If you start to do that it’s likely that your time, community member’s time, and the time of the teens you work with and for, will be much better served. 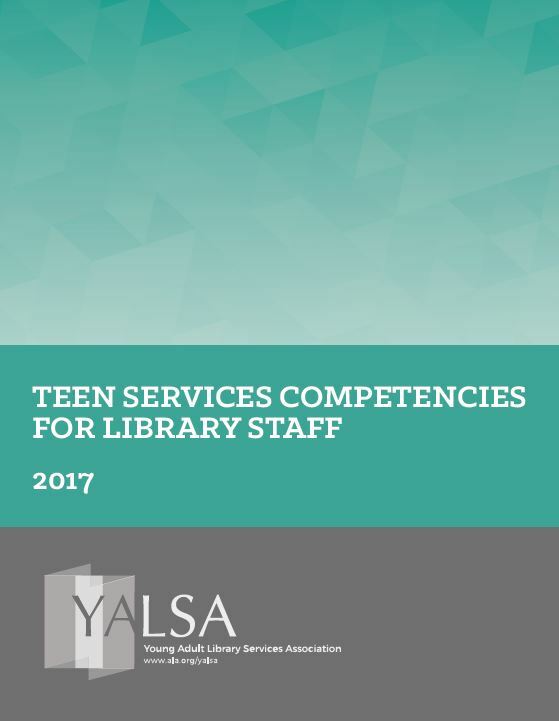 Teen Services Competencies for Library Staff: What’s Your Job? Tagged Teen Services Competencies for Library Staff.